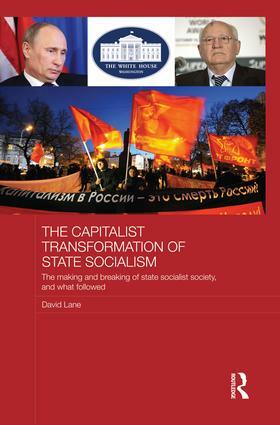 David Lane outlines succinctly yet comprehensively the development and transformation of state socialism. While focussing on Russia and the countries of Eastern Europe, he also engages in a discussion of the Chinese path. In response to the changing social structure and external demands, he outlines different scenarios of reform. He contends that European state socialism did not collapse but was consciously dismantled. He brings out the West’s decisive support of the reform process and Gorbachev’s significant role in tipping the balance of political forces in favour of an emergent ascendant class. In the post-socialist period, he details developments in the economy and politics. He distinguishes different political and economic trajectories of countries of the former USSR, the New Member States of the European Union, and China; and he notes the attempts to promote further change through ‘coloured’ revolutions. The book provides a detailed account not only of the unequal impact of transformation on social inequality which has given rise to a privileged business and political class, but also how far the changes have fulfilled the promise of democracy promotion, wealth creation and human development. Finally, in the context of globalisation, the author considers possible future political and economic developments for Russia and China. Throughout the author, a leading expert in the field, brings to bear his deep knowledge of socialist countries, draws on his research on the former Soviet Union, and visits to nearly all the former state socialist countries, including China. The reconstitution of Russia: A new hegemon? ‘Coloured’ revolutions: Political coup or people’s revolution?